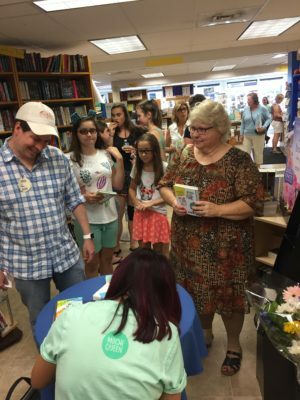 Thank you to everyone for making launch week for Jasmine Toguchi, Mochi Queen and Jasmine Toguchi, Super Sleuth amazing and wonderful! 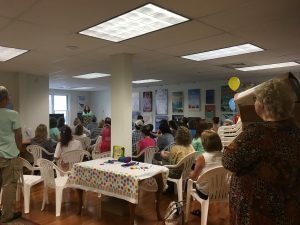 It lifted my heart to get your notes and social media boosts, and I loved seeing so many familiar faces at my launch party at Bank Square Books last week! Thank you! 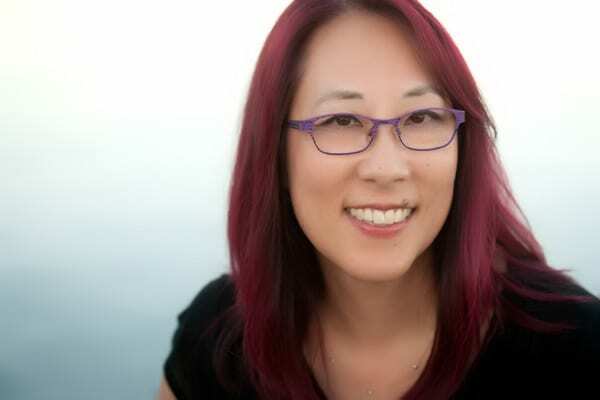 I’ve also loved seeing photos of Jasmine Toguchi out in the wild! 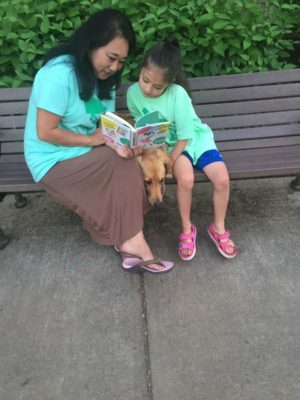 If you post a pic of you and/or your child reading either Mochi Queen or Super Sleuth, please let me know. I would love to send you a signed bookmark and stickers. Best way to let me know is by tagging me on social media (@DebbiMichiko on Twitter and jasminetoguchi or d.michiko.f on Instagram) or contacting me via my contact form. DM or email me at debbi.michiko@icloud.com with your mailing address. But wait! There’s more! Every person who posts a picture by August 21, will be entered in a random drawing for a grand prize. 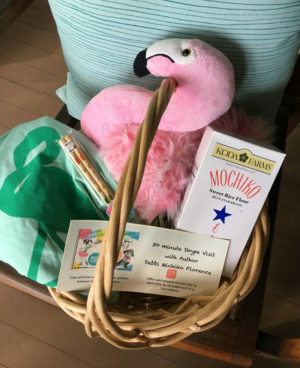 The Jasmine Toguchi basket includes a Mochi Queen t-shirt (L), flamingo plush, mochiko (for mochi recipe), chopsticks, and a free 30-minute classroom Skype visit. Stay tuned here for some fabulous and free downloadable activities you and your kids can do! Happy reading and thank you again!